Sometimes in the day to day running of busy library sites, it’s easy to forget the higher level impact of libraries on society. To advocate for libraries effectively, library professionals must never lose sight of the library’s fundamental role in society. 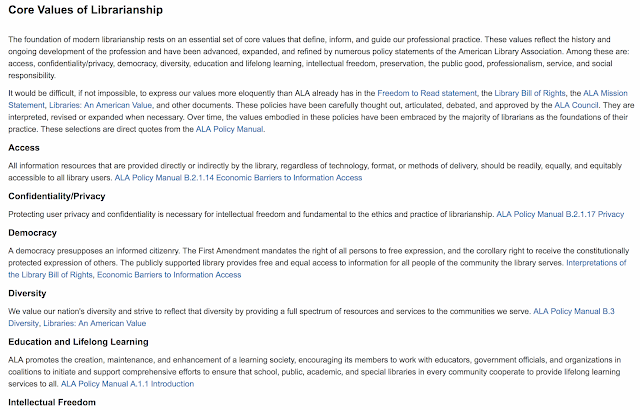 The American Library Association identifies the core values of librarianship as: access, confidentiality/privacy, democracy, diversity, education and lifelong learning, intellectual freedom, the public good, preservation, professionalism, service and social responsibility. These core values enrich society beyond words. 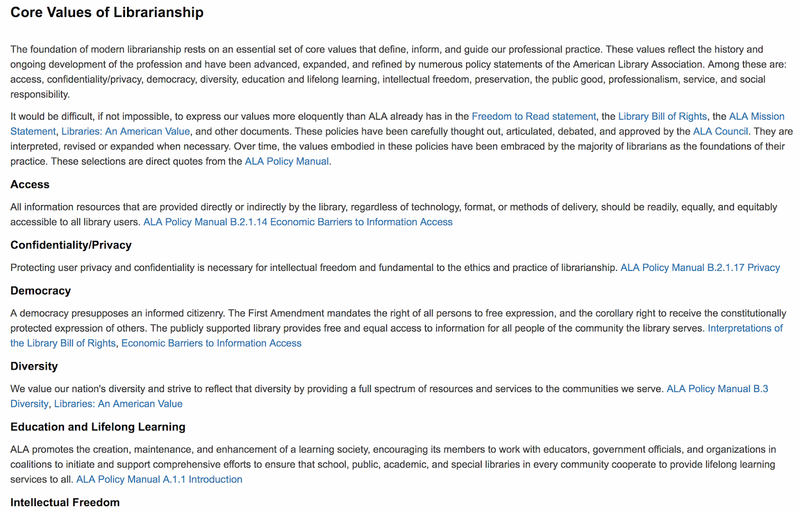 It is our duty and privilege as librarians to defend these values and the libraries and librarians that embody them. This small selection of quotes from a library user who went to become a tireless advocate for libraries succinctly encapsulates the powerful role that libraries play in society. Libraries promote social inclusion; preserve the past for future generations and educate and empower people. Without the library as Bradbury states there is ‘no civilisation’. It is critically important to continually articulate, communicate and champion the core societal and organisational benefits of libraries so that library advocacy is a proactive rather than reactive activity. Advocating for a library service only when it is threatened with closure is a far less successful activity. 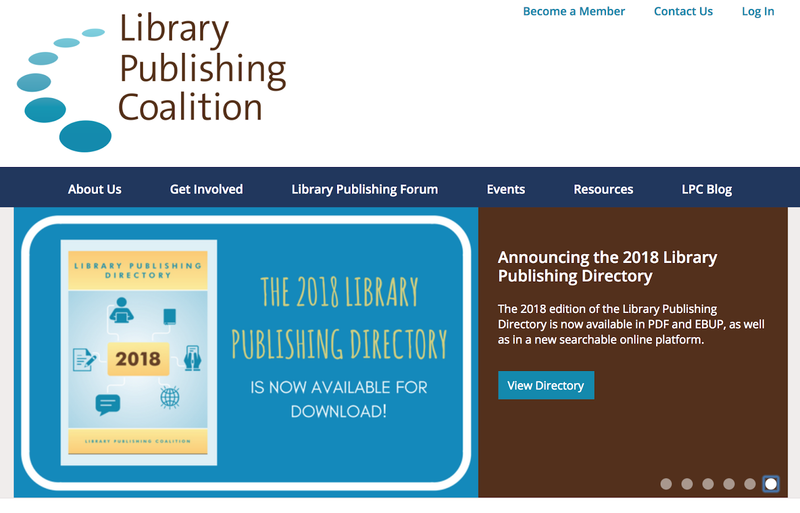 One of the most powerful ways to proactively advocate on behalf of your library service is through strategic plans, mission statements, manifestos, annual reports and other library publications. The national strategy for public libraries in Ireland from 2014-2017 is powerfully entitled: “Opportunities for All: The public library as a catalyst for economic, social and cultural development”. The title of this report unequivocally articulates and communicates its core value to society with reference to social inclusion, equality as well as economic, social and cultural development. The Strategy elucidates with clearly laid out objectives and insightful case studies how this vision can be achieved. 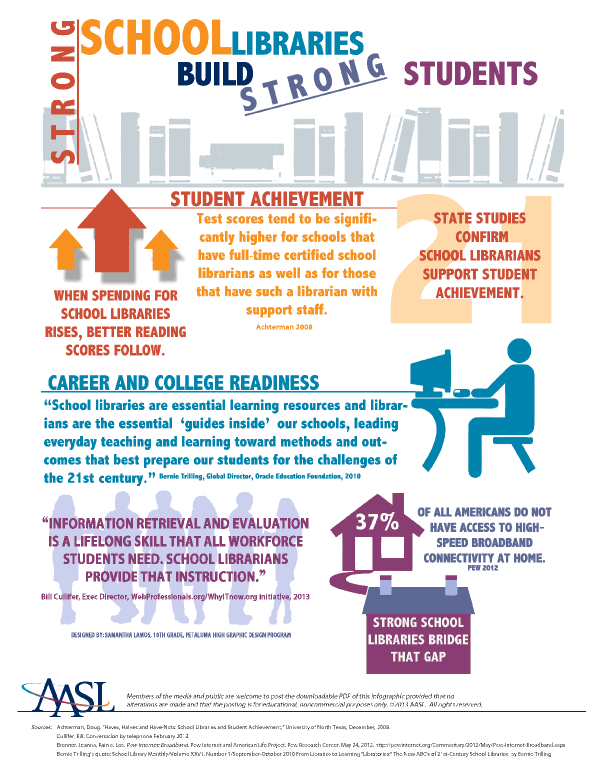 The Strategy is a stunning example of proactive library advocacy as well as an impressive working strategy. As well as being a working strategy, TCD Library’s Strategic Plan is another stunning piece of proactive library advocacy. 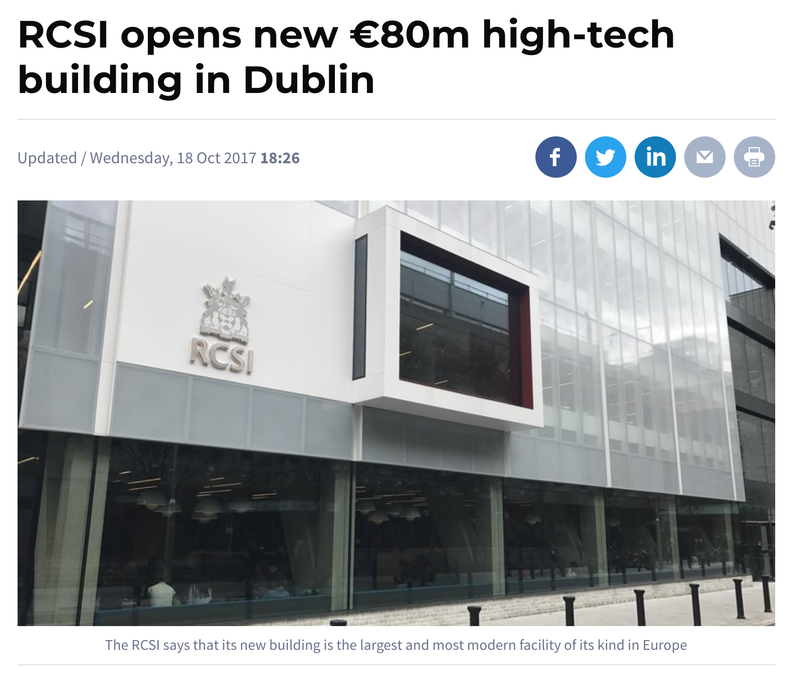 There are many more examples of strategic plans like this in Ireland and beyond. Library advocacy must also be vigorously practiced at institutional level. Do you proactively advocate for your library service in your Library’s strategic plan and other key documents? Do you articulate to management within your organisation/local community the value of the library service? 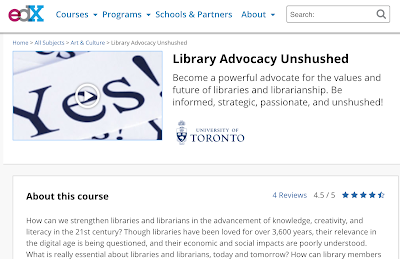 Do you train your library team to be advocates for the library service in their daily professional interactions? Capturing the impact of the library can be a difficult thing. 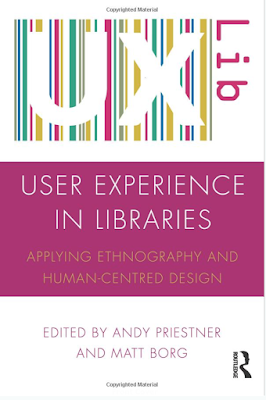 How do you quantify the personal development that using a library can invigorate? For example Ray Bradbury stated ‘I discovered me in the library. I went to find me in the library.’ When funding is short it is extremely difficult to maintain and grow library services without tangible impact/engagement measures. Ideally these should be a mixture of engagement statistics and qualitative feedback which are communicated back to all relevant stakeholders. In the aforementioned public library strategy Opportunities for All, the value of public libraries is proactively advocated with a section on the value of libraries which includes a number of powerful engagement statistics. 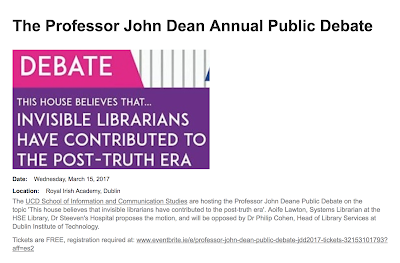 Advocating for libraries without an evidence base is a much less effective activity. CILIP has produced an impact toolkit to assist librarians with the capturing of impact measures. 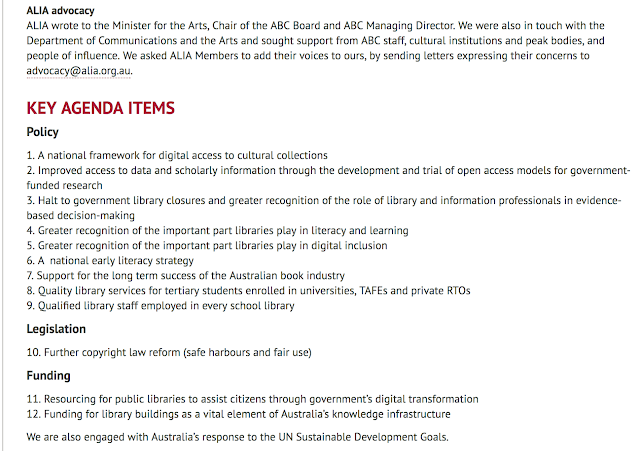 Demonstrating library impact in terms of the strategic objectives of Government or an organisation is a particularly powerful advocacy activity. For example if you work in an academic library, demonstrating a correlation between library use and student academic performance and retention advocates strongly for the impact of your library service. Make sure that you forge strong links within your organisation and the wider community with key personnel who are involved with the funding and development of library services using a mixture of informal and formal communication. Social media platforms along with events and launches can also be leveraged to promote library activities to key contacts. Lobbying parliament/politicians is also a useful way to promote the importance of libraries. In other professional spheres, teachers, doctors, lawyers and others go into political life. Given our skill set it is surprising that more librarians do not pursue this path. It is an extremely powerful way to advocate for causes and sectors that you are passionate about. 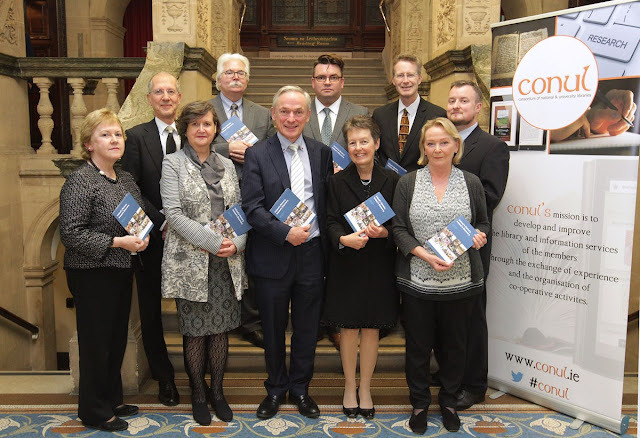 Front row: Gobnait O'Riordan, Helen Shenton, Richard Bruton,T.D, Siobhán Fitzpatrick,Colette McKenna. Networks and professional groups are also powerful ways to advocate for particular sectors or interests within the library profession. Private college librarians in Ireland like myself and the Heads of library at Griffith College, CCT College, Hibernia College, National College of Ireland and others are members of the Library Committee of the Higher Education Colleges Association (HECA). Collectively we are working hard to highlight to the Library sector and beyond the work that private college librarians are doing. HECA Librarians: Left to Right: Justin Smyth, Librarian CCT College; Robert Mckenna, Librarian, Griffith College; Audrey Geraghty, Librarian, Hibernia College; Mary Burke, Librarian, National College of Ireland; Jane Buggle, Deputy Librarian, Dublin Business School; Dimphne Ni Bhraonain, Deputy Librarian, Griffith College; Marie O’ Neill, Librarian, Dublin Business School. 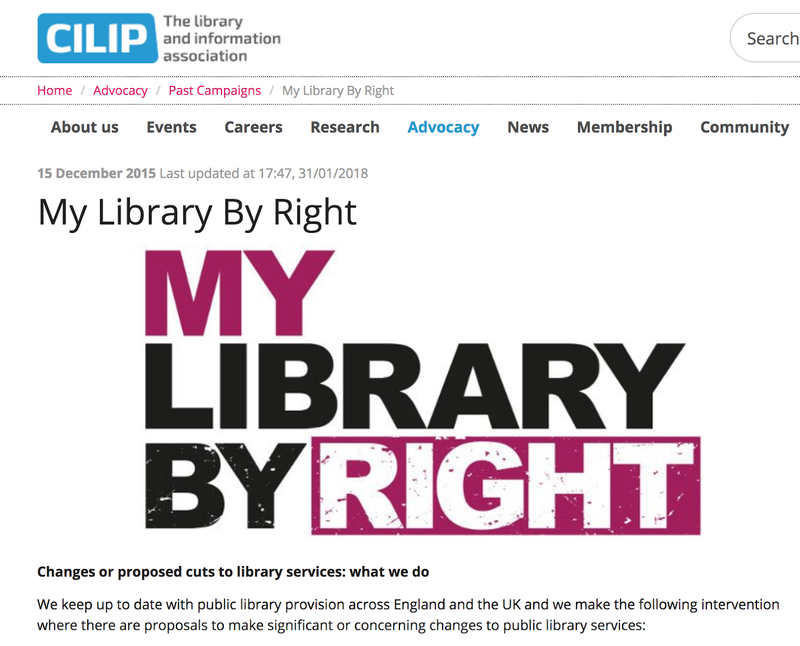 CILIP undertakes a number of advocacy activities including a library fund and various advocacy campaigns. The Australian Library and Information Association annually outlines its advocacy campaigns. The Library Association of Ireland also carries out a range of advocacy activities including Libraries Ireland Week. 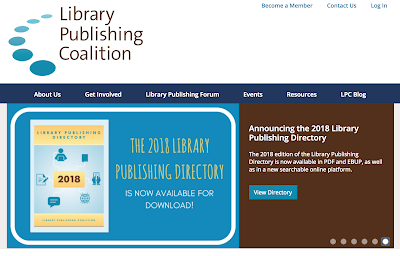 Investment in library infrastructure is an extremely potent form of library advocacy and one that needs to be considered by library managers in all types of libraries. Run down and outdated library premises do not advocate or augur well for the profession. 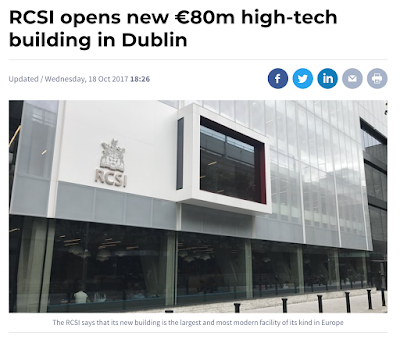 It is encouraging to see a number of infrastructural library developments in Ireland over the last few years such as the new library building in Maynooth University, the Lexicon Library; the new library at RCSI and the impending Parnell Square development. These developments are a testament to the advocacy and negotiating skills of the library managers involved. To evolve the library profession it is also critical that we advocate for change in relation to new practices, new roles etc. 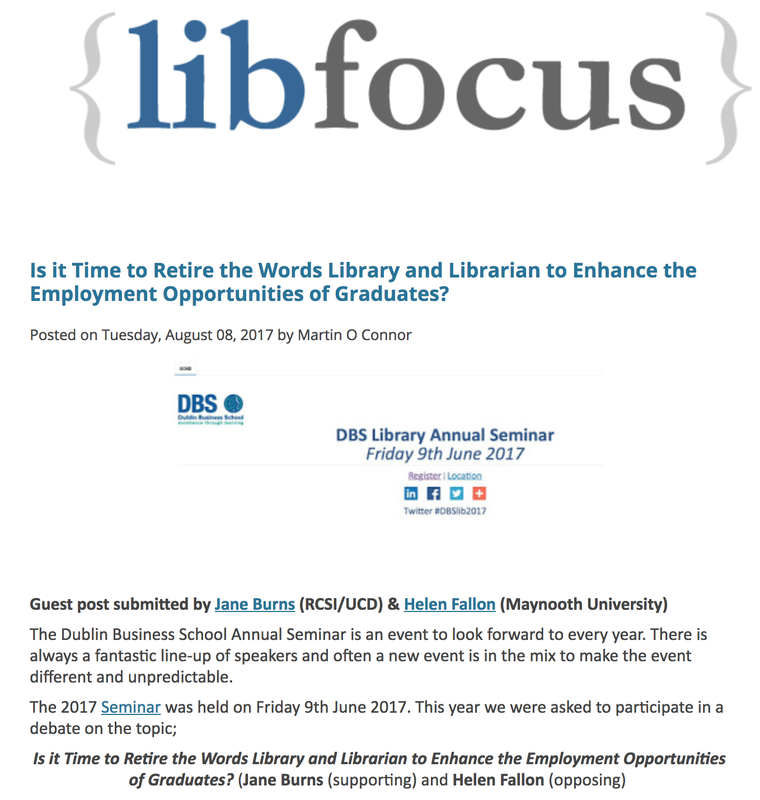 For example at Dublin Business School, Library staff are interested in the Librarian as Publisher movement. Other bodies such as the Library Publishing Coalition also advocate for developments in this area. 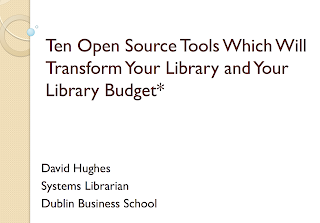 DBS Library has also been a huge proponent of the open source movement. 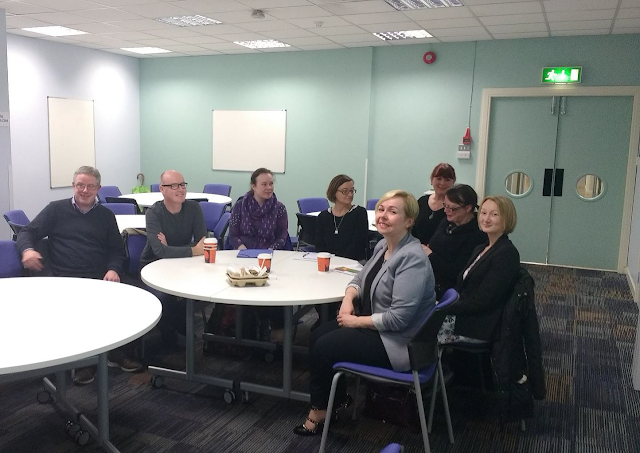 Other advocates for particular areas of library practice are Andy Priestner of Andy Priestner Training Consulting with ethnography and Helen Fallon, Deputy Librarian, Maynooth University with academic writing librarians. 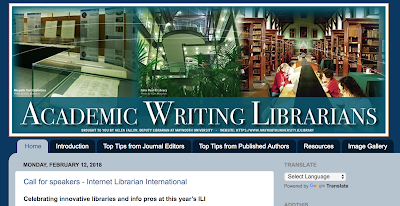 Helen has a blog devoted to academic writing librarians and speaks on the topic at various conferences and seminars. Andy also travels the world speaking on ethnography. 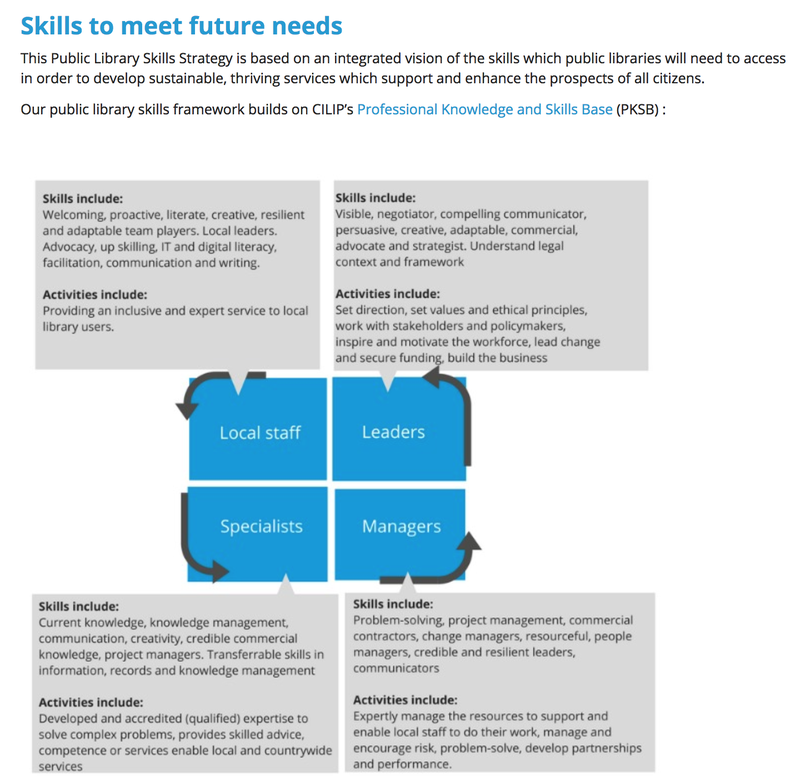 In CILIP’s Public Library Skills Strategy 2017-2030, skills in advocacy are listed as a future skill for public librarians for example. 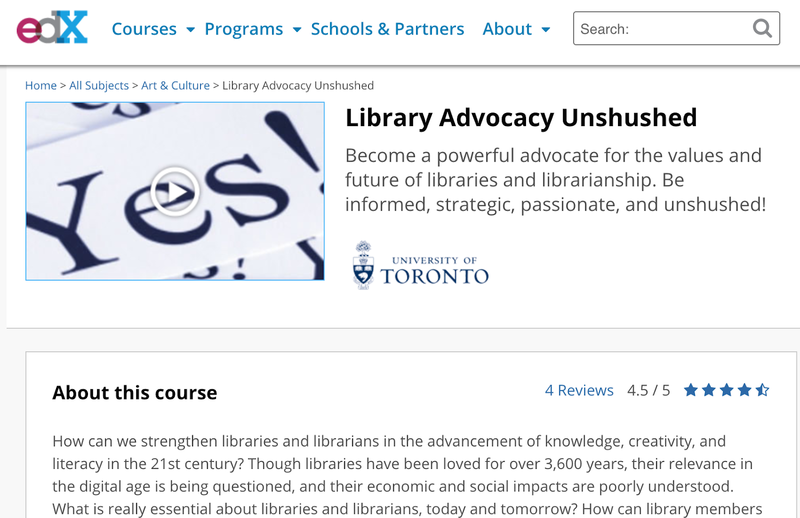 Advocacy skills need to be a core competency for all library graduates. Library schools and professional bodies are increasingly focusing on the soft skills of librarianship. If you look at the resource list at the end of this course, a number of professional bodies and organisations have advocacy pages/resource lists for those wishing to brush up on these skills. Incorporating debating into library education is also a really useful way to teach librarians how to mount a robust defence of a position. 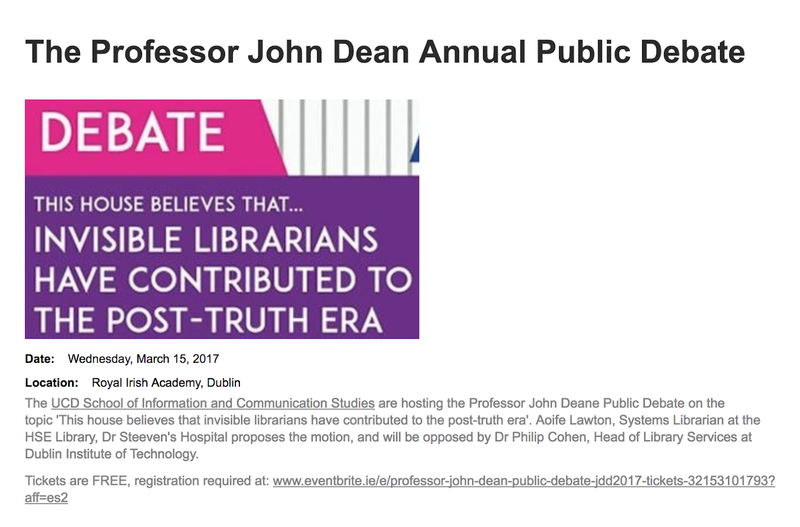 In 2017, library debates included: The Professor John Dean Annual Debate organised by the School of Information and Communication Studies, UCD and a debate between Helen Fallon and Jane Burns at the DBS Library Annual Seminar. Finally when advocating on behalf of your library service, it is extremely important to be specific. What are the specifics of your advocacy campaign: (goal, audience, what data you need etc.). 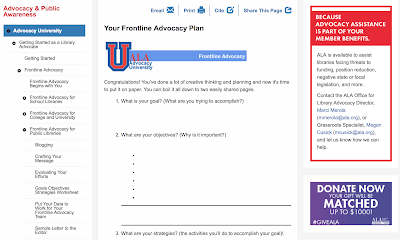 The American Library Association has a wonderful frontline advocacy toolkit which helps you to focus on the specifics of your advocacy plan. There is no better time than the present to start on the path to becoming a successful library advocate. To help you get going we have complied a list of 9 exercises to engage with. Your contribution to library advocacy is up to you, as are the amount of exercises you complete. However they are all designed to get you to really think about advocacy, giving you the opportunity to start right now! Exercise 1: Name three detrimental effects to a local community when a public library is closed. 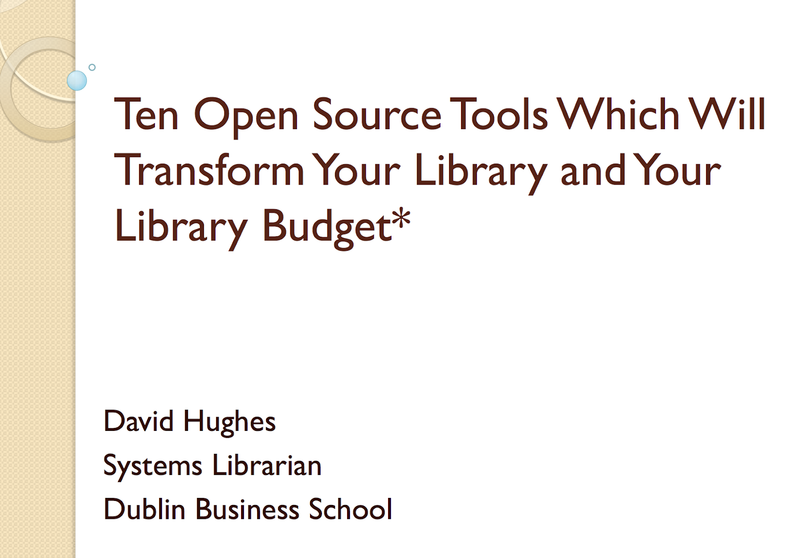 Exercise 2: Find a Library Strategic Plan in Ireland or beyond for a library of any size. Identify three ways in which the strategic plan also advocates for the Library Service. Exercise 3: Name three ways in which you can demonstrate the impact and value of the library service that you work in or use. Exercise 4: Identify three key people (name their role) outside of the library in the wider organisation/community that you need to network with in order to advance the development of the Library Service. 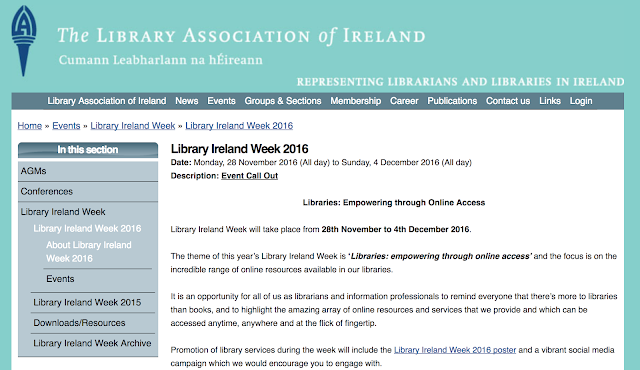 Exercise 5: Write down in 200 words or less an idea for Library Ireland Week for a library you work in or use. Exercise 6: In your opinion what are the three best features of the My Library, By Right Campaign and why? Exercise 7: In 200 words or less, describe a new area of librarianship that you are passionate about. 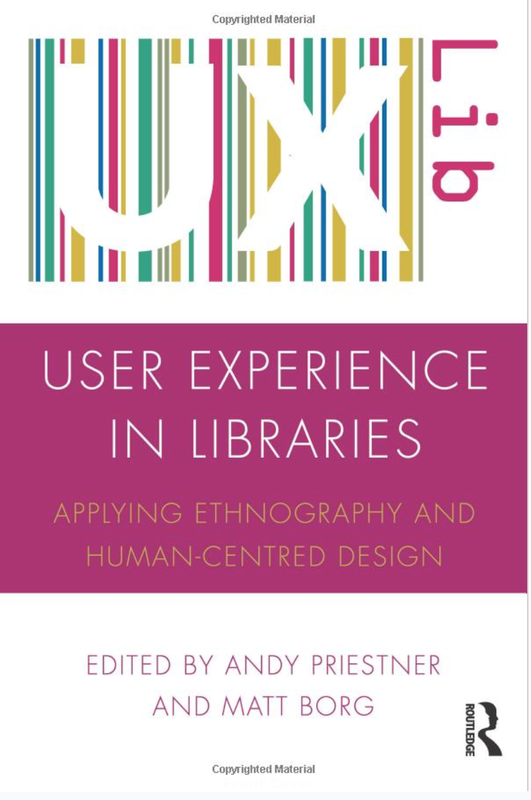 How would you go about promoting it within the library that you work in and/or the wider library profession? Exercise 8: Choose an area of library practice that you feels requires debate. 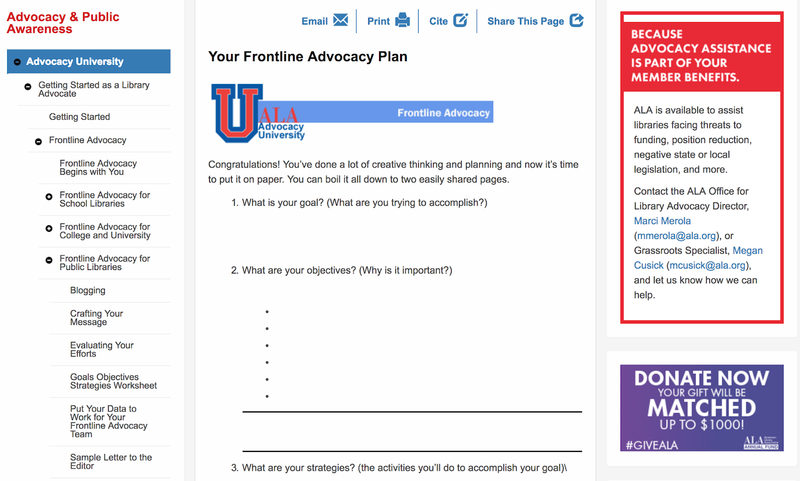 Exercise 9: Open up the ALA Frontline Advocacy Plan. Complete the plan for a real/fictional advocacy campaign. 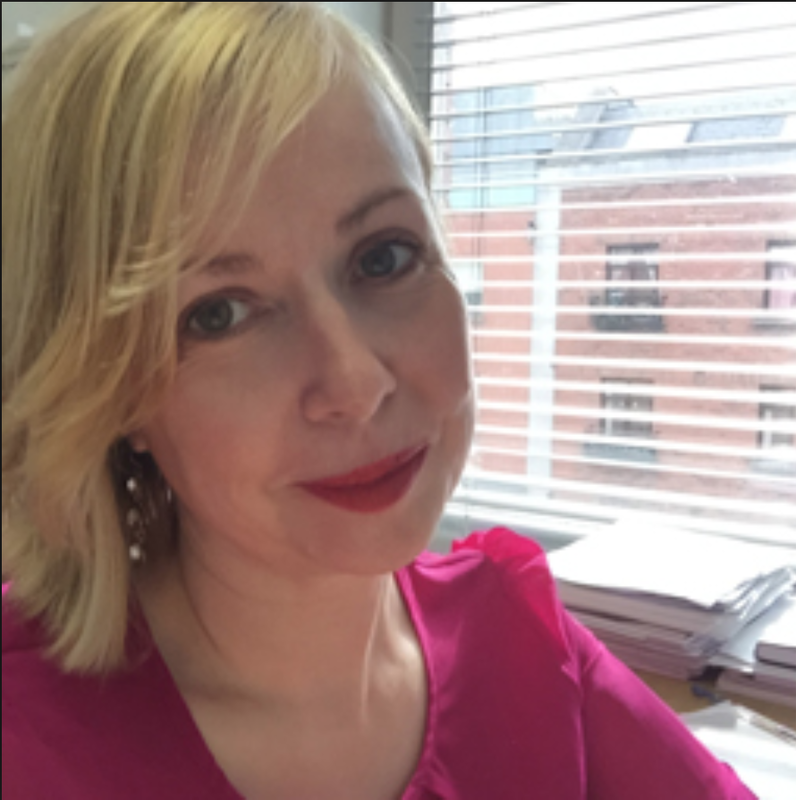 Marie O'Neill is the Head of Library Services at Dublin Business School. 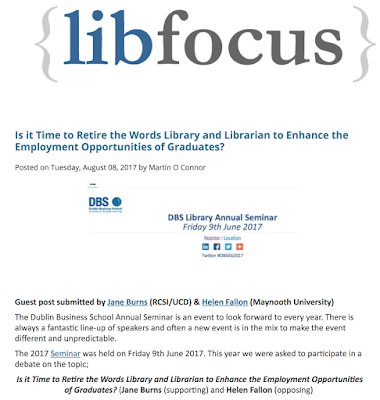 In 2006 Marie founded the MSc in Libraryand Information Studies at DBS which has since become a very successful programme. Marie's interests include institutional repositories and library services for academics publishing or undertaking research. Marie takes a keen interest in library innovation and the shape that academic libraries will take in the future. Blee, G. (2016) ‘Demystifying Political Advocacy,’ An Leabharlann, 25 (2), pp. 7-11, edepositireland, http://hdl.handle.net/2262/79710. (Accessed: 8 February 2018). Ewbank, A.D. (2015) 'Library advocacy through Twitter: a social media analysis of #savelibraries and #getESEAright', School Libraries Worldwide, 2, p. 26, Literature Resource Center, EBSCOhost [Online]. (Accessed: 8 February 2018). Goulding, A., Walton, G. and Stephens, D. (2012) 'The importance of political and strategic skills for UK library leaders', Australian Library Journal, 61(2), pp. 105-118. 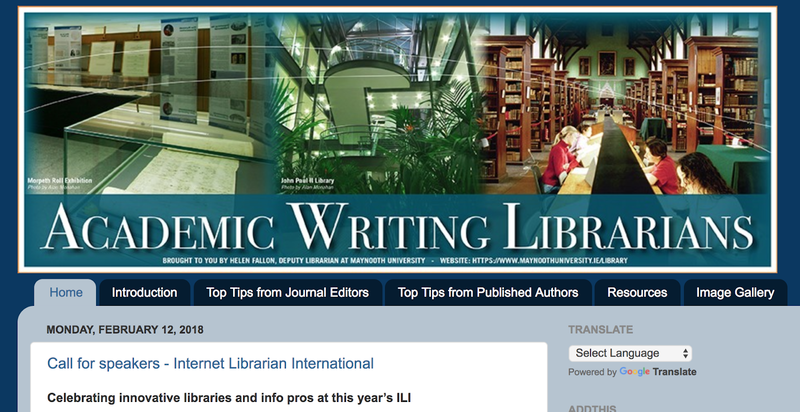 Library & Information Science Source, EBSCOhost [Online]. (Accessed: 8 February 2018). 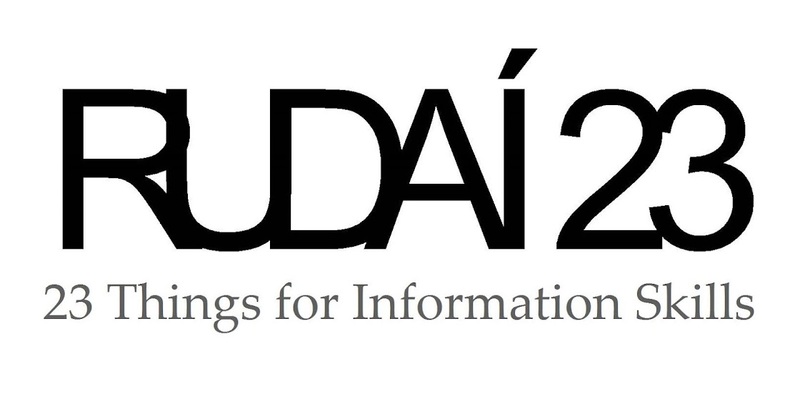 Moreillon, J. and Hall, R. (2014) 'Digital advocacy stories: a pedagogical tool for communicating and strengthening library values', Journal of Education for Library and Information Science, 55(2), pp. 100-111, ERIC, EBSCOhost [Online]. (Accessed: 8 February 2018).